IdealBars are perfect when you’re in need of a quick and delicious snack that’s calorie controlled and that can help block hunger for up to 3 hours! 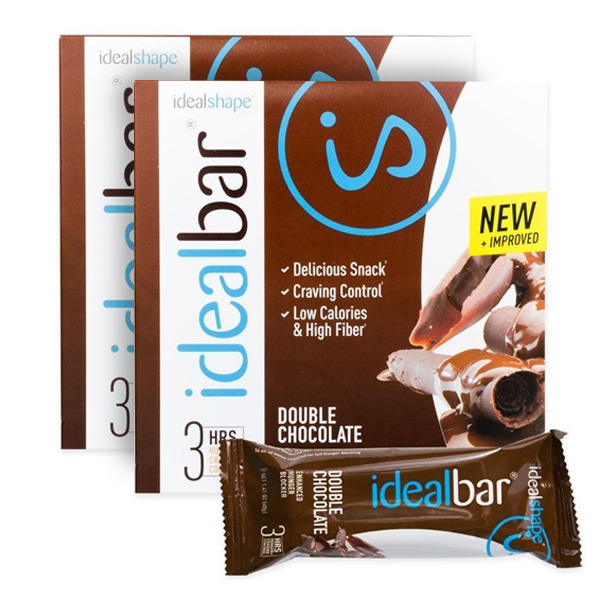 In order to fit your weight loss needs , IdealBar is formulated to be extremely delicious, help with hunger control, as well as provide beneficial nutrients. With the power of the hunger-blocker Slendesta, IdealBar helps curb hunger cravings in a simple weight-management snack bar with 150 calories, or less. With 10 grams of protein and packed with several vitamins and minerals, IdealBar has the nutrients your body needs for energy to last until your next scheduled healthy meal! Slendesta is a potato protein extract specifically designed to curb your hunger. Slendesta is derived from a potato protein extract called Proteinase inhibitor or PI2. Found just beneath the potato’s skin, this extract stimulates an increased bodily release of cholecystokinin or CCK. CCK tells the brain that the body is full and satisfied. Slendesta is not a stimulant, and therefore it will not conflict with your body’s natural metabolism. IdealBars contains 24 vitamins and minerals to assist you in your quest for health. IdealBars contain slow digesting fiber and protein that work together to keep you fueled and energized for hours. I have always been taken care of promptly when I have an appointment. The girls are quite helpful and knowledgeable about the products. I always have an enjoyable and relaxing time when I go in. All in all I rate the service and staff excellent, and I would certainly recommend Skin MediSpa to a friend.